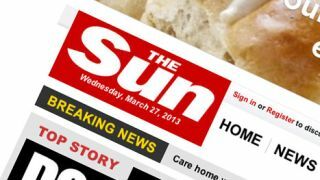 One of the world's most famous tabloid newspapers - The Sun from the UK - is coming out from behind the paywall that was put in place online in August 2013. With rival The Daily Mail becoming one of the most read properties online, The Sun's market share online has, fairly understandably, dwindled because of the requirement for subscription. However, according to the Guardian, that paywall is now being taken off the red top, allowing the News International-owned property to become accessible to the masses once more. Given that its audience was pegged at 30m just before the decision in 2013, it will be interesting to see just how quickly The Sun can begin to compete with the likes of the Mail Online. "Entering this new chapter for the Sun, we are in a strong position thanks to the many learnings we bring from the paid-for era," chief executive Rebekah Brooks told staff in an email. "We know more about our readers than ever before. Our recent acquisition of Unruly, and our ongoing collaboration with colleagues at Storyful, further bolsters our position and will play a big role in how we supercharge our digital advertising capabilities." Several British media brands remain behind paywalls - including the Telegraph, The Sun's NI stablemate The Times and the Financial Times, but with the likes of Buzzfeed, Vice and Huffington Post all finding huge audience the writing may be on the wall for the internet paywall.